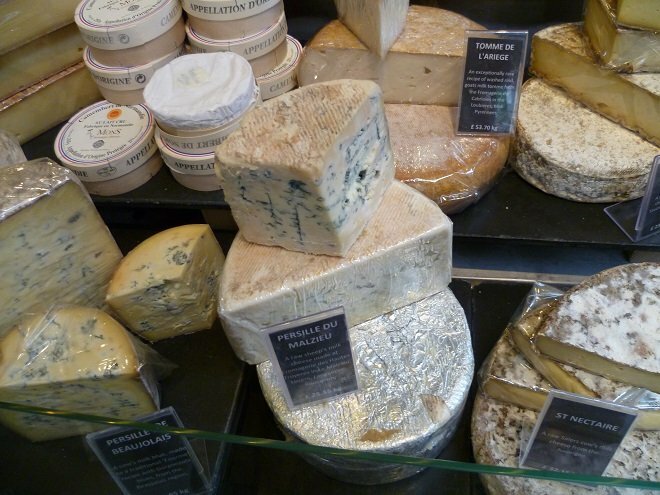 A visit to London’s most famous food market guarantees one of the best days out in the capital! Borough Market continually delights visitors with its warmth, hospitality and unique, artisan food. Borough Market has a long and varied history, and dates back to the 13th century. The area around London Bridge was popular at the time for traders selling their livestock, grains and even fruit and vegetables. 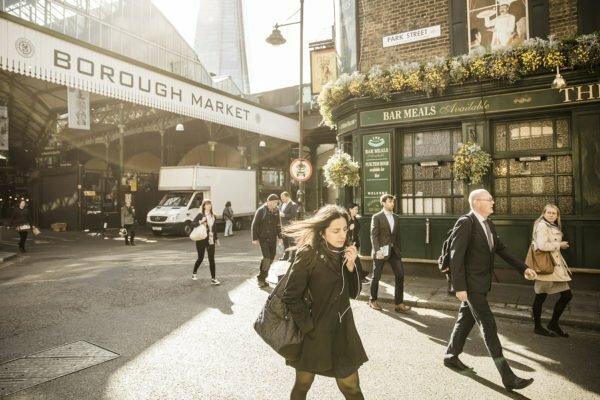 Today, Borough Market is still a thriving place for producers to meet, and for visitors to find out more about the great products that make up this unique market. The fruit and vegetable sellers, butchers and fishmongers are still a part of the foundations of this incredible food market. The passion each vendor has for their product, and the story of how their business came to be, is always a fascinating one. You often get the chance to sample the products too, which is a great way to interact with the vendors and to find out more about the history of their product. What is endlessly fascinating is the amount of choice on offer. The finest cheeses, the freshest fruit and vegetables, a diverse range of meats and the artisan breads that will have you coming back for more. 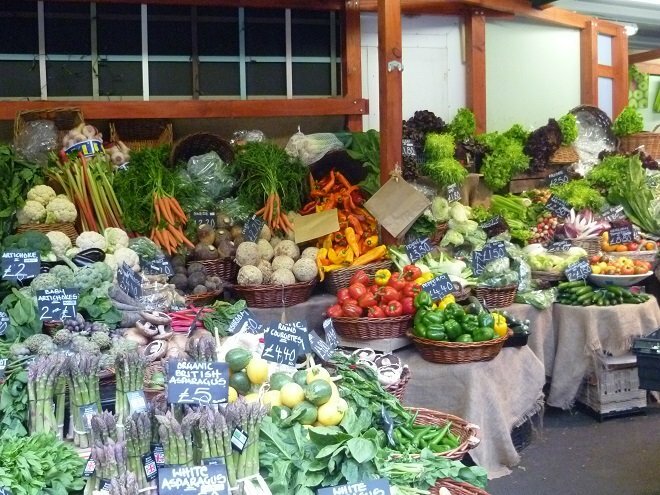 When planning a trip to Borough Market, my advice would be to bring a shopping bag, so you have plenty of storage since you will surely be tempted to purchase many items. 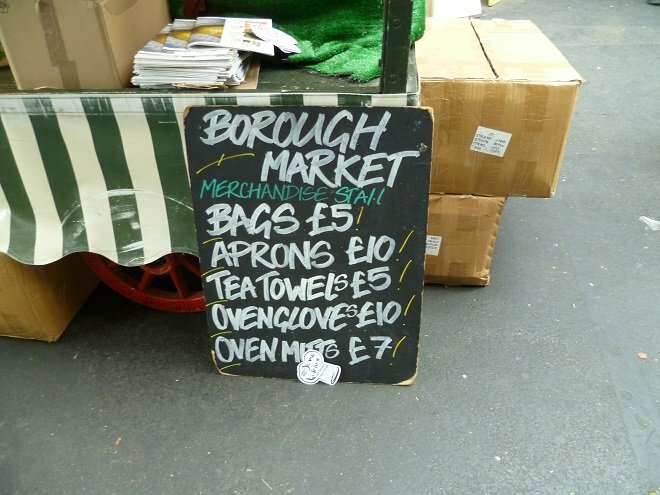 Alternatively, Borough Market has a delightful little shop selling a variety of their own brand shopping bags and products, which make a fun little souvenir for shopping when you return home. The market is open every Wednesday through to Saturday, but if you happen to be in London mid-week, I would definitely recommend heading to the market on a week day. You will find it is far less busy than on a Saturday, and you can wander around at your own pace, taking time to stop at each stall and peruse the wonderful, artisan items, as well as getting the opportunity to chat to the vendors about any questions you may have. The market recently underwent an expansion to include an open seating area, which is perfect if you decide to stop for a coffee or even a spot of lunch. 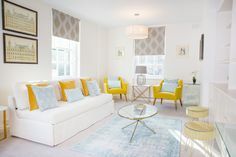 You will also be able to watch the various cookery demonstrations taking place throughout the day, so there’s always plenty of inspiration if you are trying to decide what to buy and what to make for dinner that evening. This delicious, mushroom pate has become a firm favorite at the market, and also happens to be one of my weekly staples! This hand-made paté is also created with organic mushrooms, and is certainly the best mushroom paté I have ever tasted. The great thing about this product is that it can be served in a variety of ways, but is particularly tasty on fresh bread. 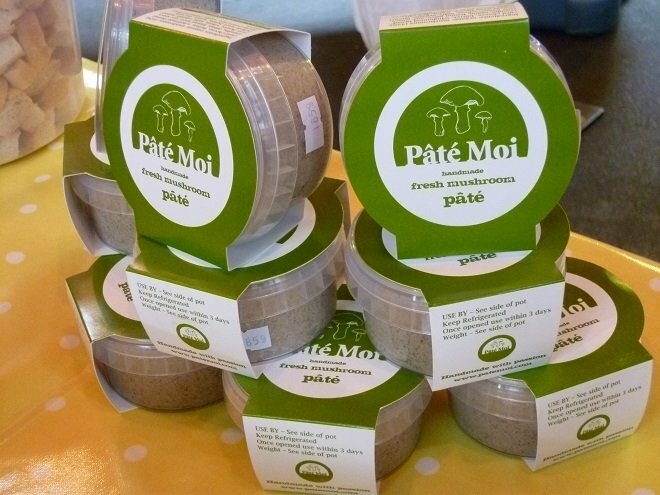 If you head onto the Paté Moi website you will see their suggestions for a variety of ways in which the paté can be served, including: over pasta, in a baked potato or even spread over croutons! The first thing you are likely to notice around Bread Ahead are the crowds of people eager to try their delicious baked goods! This vendor is an absolute must-visit for fans of delicious fresh bread and sweet, baked treats. 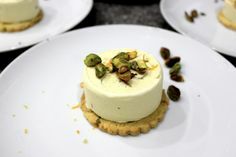 This delightful artisan bakery also has their very own premises within Borough Market and run their own baking workshops throughout the year; so, if you ever fancied learning the art of bread making, do head onto their website to find out more about booking your place. What is particularly special about this bakery is the sheer amount of choice on offer. 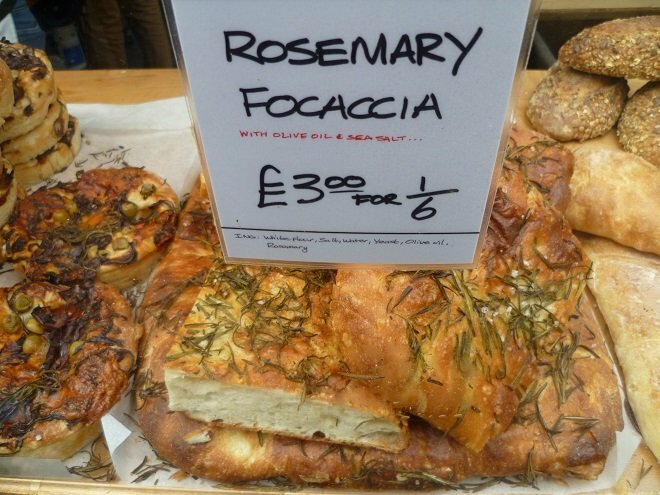 I am a huge fan of their focaccia topped with fresh tomato and pesto, but you have to get there early as they are a very popular item. They also serve their famous doughnuts with the most incredible fillings such as caramel custard with salted honeycomb – not to be missed! Brindisa sell the most exquisite range of Spanish foods, including a wonderful selection of chorizo sausage and some of the finest hams and cheeses. They also hand-carve their Serrano and Iberico hams instore, so if you’re looking to create a charcuterie board for supper, you have a wonderful selection to choose from. They also sell olive oils, canned fish, almonds, chocolate…there is such an eclectic choice, and all so beautifully packaged too, these items would make for perfect gifts for friends and family. 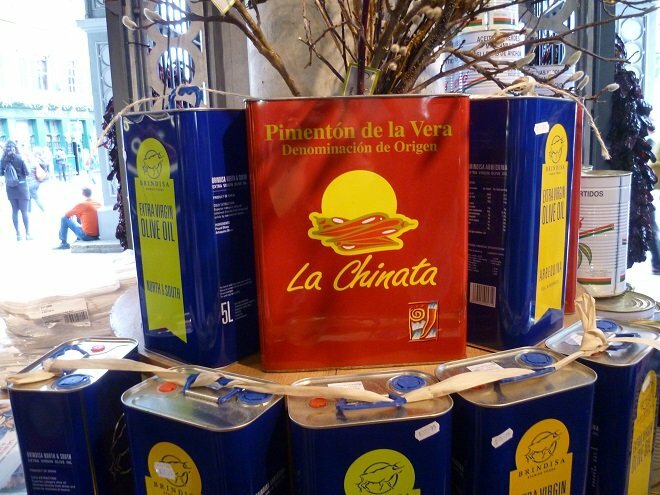 If you are a fan of Spanish food, you will delight in the choice on offer in this beautiful store. 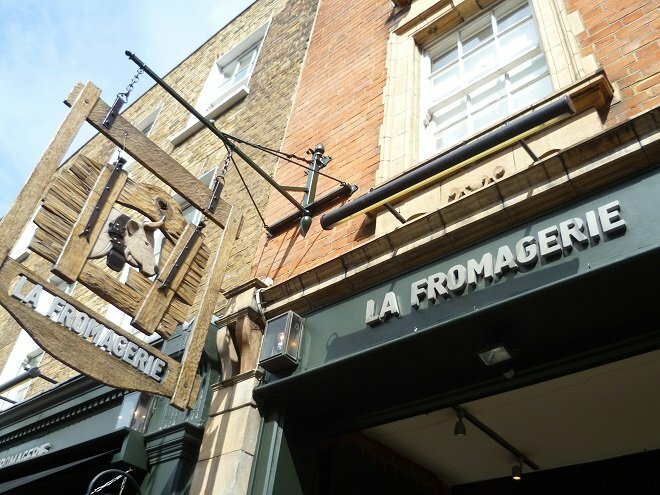 After perusing the items, you might wish to head along to their restaurant, also located in Borough Market, for a delightful meal of some of the finest tapas! 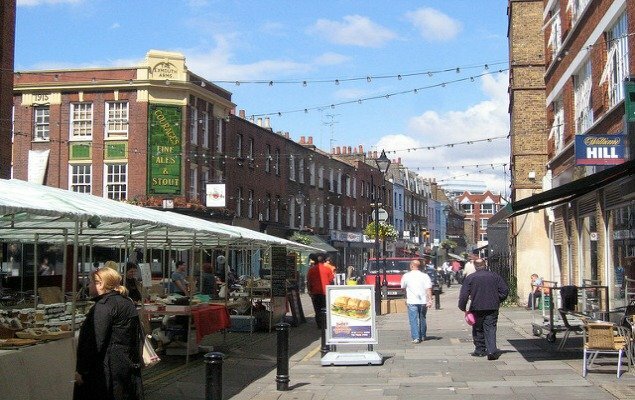 Click here to take a look at our guide for all London markets. Happy shopping! NEXT: Don’t Miss the Chance to Visit Buckingham Palace this Summer! 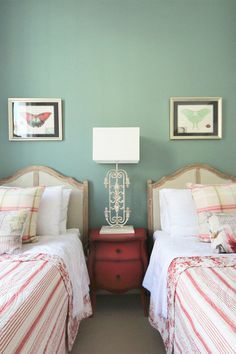 Posted on Tuesday, June 2nd, 2015 at 2:13 pm in Food & Drink. You can follow any responses to this entry through the RSS 2.0 feed. You can leave a response, or trackback from your own site.